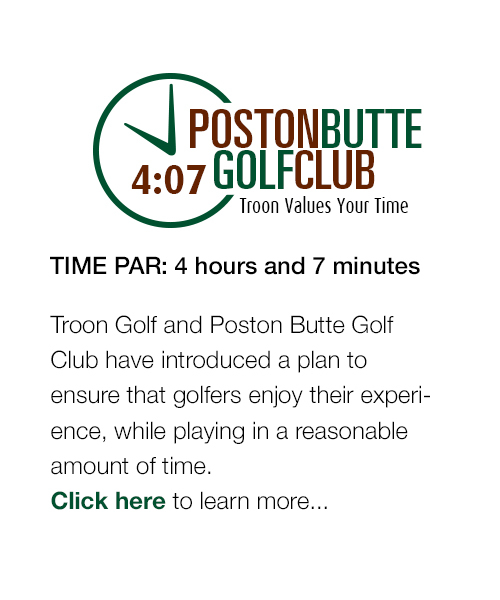 Residents of Anthem at Merrill Ranch have many benefits regarding golf at Poston Butte Golf Club. Residents receive discounts on merchandise, regular daily fee rates and annual golf programs. Home Owners also receive a complimentary Troon 2some card to enjoy discounted golf rates at other Troon Golf managed facilities. The Troon 2some card is available to the public for $500 and this benefit is provided to home owners of Anthem at Merrill Ranch at no charge! The club has also put together golf leagues for men, women, and couples of the community that offer weekly and monthly opportunities to play with one another. All resident activities are posted on the private resident web portal for Anthem at Merrill Ranch at www.ouranthemmr.net and www.oursuncityamr.net. *Course closed September 25 - October 13 for overseeding. Socially accepted golf shirts are appreciated, but your comfort is most important. The nicer you look, the better you will play, so goes the rumor. Shorts can be just about any style, but please do try to present the shorts at a length that everyone wants to look at. While Poston Butte is a welcoming environment, we are also a family environment. As such, please be sure to present yourself in a manner that is respectful to those around you. Footwear is encouraged on course for reasons of safety and should be of a type and style that will not damage the turf. Please, no high heels, boots, football cleats, baseball cleats, soccer cleats, and the like. Residents of Anthem at Merrill Ranch may book times up to 14 days in advance. Non AMR Residents may book times up to 7 days in advance. The rates above are for one round of golf and includes access to golf course, carts and use of practice facilities on the day of play. *Carts must be in by 5:30 PM for twilight tee times. Rates do not include sales tax and are subject to change without notice.